See all RPHQ artists here! How would you draw your character the opposite of what they are right now? What is your favorite part about roleplaying this character? What was a defining moment in the rp history of this character? 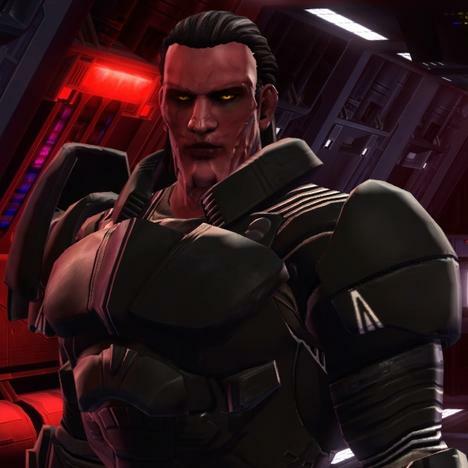 What have been your best rp experiences with this character? Azhrael's theme song is about freedom, which is one of the central concepts to understanding what it means to be Sith. Most game players find evil paths in narrative games a big turn-off. Overwhelmingly, they follow “good” paths as the default option. So what is the lesson for game designers who create “evil” narrative paths, and want players to experience those stories as viable first-play options? She said that presenting pure evil without context is a bad idea, because most people find the concept off-putting. Adding friction to evil is counter-productive. Evil should come with its own risks and rewards, as it (mostly) does in real life. Medical schools are turning to part-time actors to help students polish their bedside manners, long before they reach a real patient’s bedside. The actors take part in elaborate role plays, simulating patients to help mimic the challenges of hospital work. 'Mass Effect' and 'Dragon Age' are BioWare's two flagship series that aren't known for their combat or level design. Instead, they're beloved for their stories and memorable characters. There’s something special about spending dozens of hours in the same world, wrapped up in its lore, playing a pivotal role in how the story shapes out. It’s addicting committing to a character you create and shape and see his or her personal growth throughout the game. Kitlandria hosts a new series in which she offers advice on roleplay etiquette and answers questions from a live audience on Twitch.tv/RPHQ Today we discuss Mary Sues. What they are, why they're bad, and how to avoid being one! Choosing personality archetypes can lead to fun characters, and the real meat comes from the backstory and the experience. Game Master Matt Mercer lays out a few tips for roleplaying against type in this episode of GM Tips! One-shots can be fun and handy for trying out new characters, tactics, and more. Critical Role's Matthew Mercer outlines a basic structure to designing your own one-shot, and gives some tips to make them better. This week on GM Tips, Satine Phoenix (Co-creator & GM on Maze Arcana and founder of Celebrity ChariD20) talks with Maze Arcana co-founder Ruty Rutenberg about finding and cultivating a game community using different opportunities available to players in 2017. "And that still wasn't the most uncomfortable thing that happened to me." This will be a public group to those who wish to RP in the game ARK: Survival Evolved. All RPers are welcome, including clan/tribe/guild leaders and their members. If you know someone who has an RP server, wants to promote it, etc, please recommend this group to them! If you have a Roleplay-oriented site for ARK, we can promote that here as well! Hi all! Come and join our RP Whitelisted server running the Volcano map, there's a discord link just below here, as well as a link to the steampage mod list. And ofcourse don't forget to subscribe. Players can form or join families with other players, and earn prestige for the whole group. The first segment of the Let's RP in Rift series, all about the great wardrobe system! There's no place like home after a long day of adventuring. Homestead, The Elder Scrolls Online's player housing system, is now live on PC/Mac, Xbox One, and PlayStation®4 and includes 39 player homes, over 2,000 unique furnishings and decorations, robust Housing Editor tools, Furnishing Crafting, Master Writs, and more. Hey Guys! *Click SHOW MORE for time links to each section! * I made a very in depth guide for the Homestead Housing System in Elder Scrolls Online. Covering everything from homes, pre requisites, house caps, decorations furniture crafting, master writs, setting permissions, and how to use the housing editor. Visit the Rift Dimension Gallery website to see all of Whatchacallit's work!